Robert Lee Truman, 79, Kokomo, passed away at 11:15 a.m. on Wednesday, October 31, 2018, at I.U. Health Hospital in Indianapolis. He was born July 31, 1939 to Francis and Velma (Reed) Truman in West Plains, Missouri. On October 22, 1961, he married Catherine (Weidtman) Truman in Brooklyn, NY, and she survives. Robert is a 1957 graduate of West Plains High School in Missouri and went on to serve in the United States Navy from 1957-1960. He retired from Delco Electronics after 30 years where he worked as a job setter. Robert enjoyed spending time with his family, going fishing, and attending his grandchildren’s ballgames. 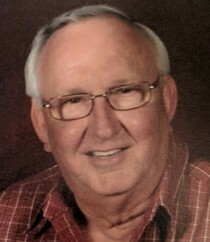 In addition to his wife, Robert is survived by his children, Robert (Jennie) Truman, Jim (Diana) Truman, and Lisa (Joey) Kimbrough; sisters, Helen (Jack) Newhouse and Ella Mae Shutt; grandchildren, Kayla, Zaccary, Blythe, Brady, Jake, MacKenzie, and Colton; great-grandchildren, Lucy, Lennox, Lydia, and Ella. Services will be held for Robert at 12 p.m. on Wednesday, November 7, 2018 at Shirley & Stout Funeral Home and Crematory, 1315 W. Lincoln Road, Kokomo, with William Railey officiating. Burial will follow at Sunset Memory Gardens with military rites provided by the United States Navy and the Kokomo VFW Military Rites Team. Friends and family are invited to visit from 10 a.m. to 12 p.m. on Wednesday before the service at the funeral home. Memorial contributions may be made to St. Jude Children’s Hospital or The Cystic Fibrosis Foundation. Messages of condolence may be made online at www.stoutandson.com. Stout & Son Fuenral Home is assisting the family with arrangements.